1. 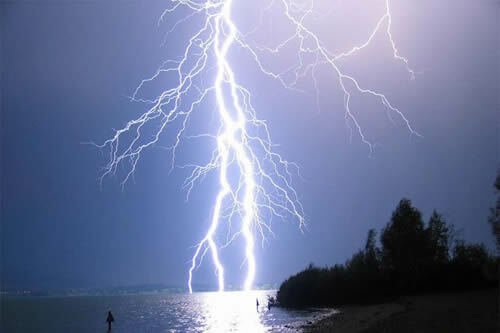 Every year, the Earth experiences an average of 2.5 crore lightning strikes during some 100,000 thunderstorms. That’s more than a hundred lightning bolts per second. 2. Lightning bolts travel at speeds of up to 96000 km per second. 3. The temperature of a typical lightning bolt can reach 30,000 °C – that is about 5 times greater than the temperature of the surface of the Sun. 4. The energy contained in a single lightning strike can power a 100 Watt light bulb for 90 days.